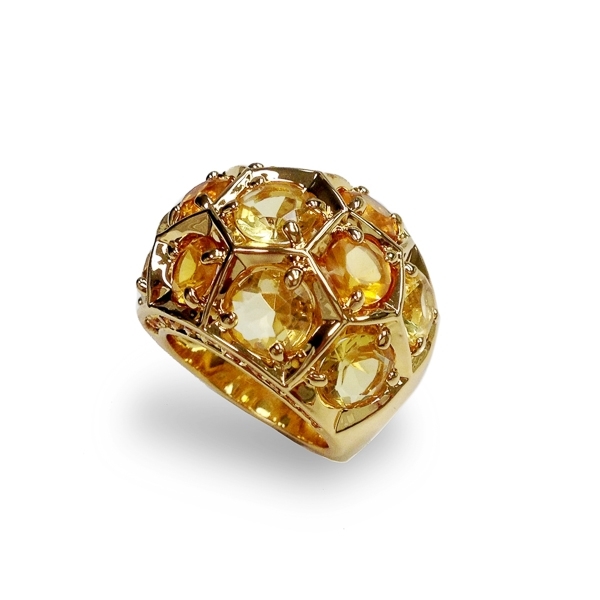 Description: Honeycomb ring with diamond cut glass stones in shades of honey. Ring is slightly arched for a comfortable fit. Channel set topaz crystals on top and bottom are details adding even more substance to this gorgeous and fun nature inspired piece. Material and Measurements: 14K Gold Plated Base Metal, Diamond Cut Glass Stones, Crystals - Focal Point 1" X 3/4"
Enter Quantity for R-AE060 to add to your shopping cart.